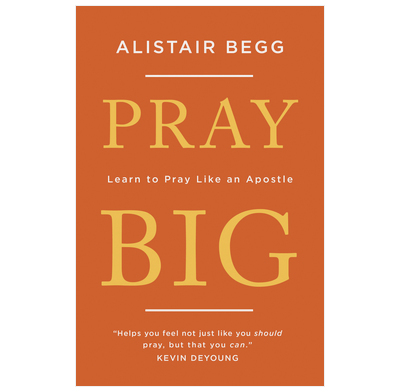 This short book by renowned Bible teacher Alistair Begg combines warmth, clarity, humor, and practicality as he examines Paul’s prayers for his friends in the church in Ephesus. Paul clearly enjoyed prayer, and was excited about it. He expected his Father in heaven to hear what he said, and to act in other people’s lives accordingly. The truths that underpin and shape his prayers will motivate us to pray and set us an example. Prayer is so important, and so difficult, that we always need more good books on prayer. Alistair writes with a biblical simplicity and pastoral sincerity that will help you not just feel like you should pray, but feel that you can. When we get to heaven, we will finally understand how our smallest and most feeble prayers advanced Christ’s kingdom in ways we never dreamed. At that point, I don’t want to whine, ‘Bother! Why didn’t I pray bigger?’ This book is your best guide to offering up larger-than-life prayers through which God delights to work!